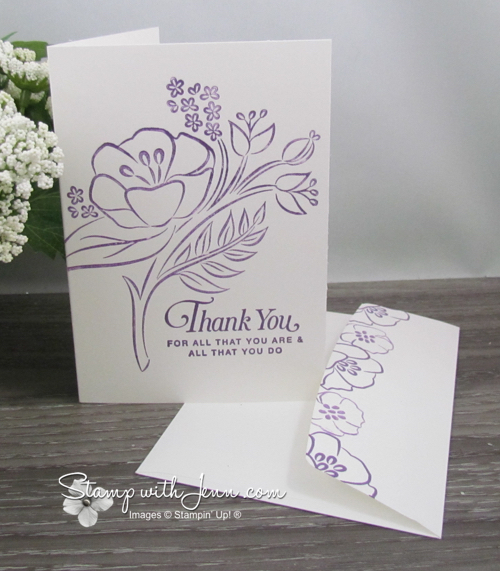 The stamp set I used was All that You Are the Gorgeous Grape ink that will be in the upcoming Stampin’ Up! Occasions Catalogue. The ink I used was Gorgeous Grape. And to get the two different purple colours, I just stamped the ink off on my scrap paper first before stamping it on the Note Card. I love using the Stampin’ Up! 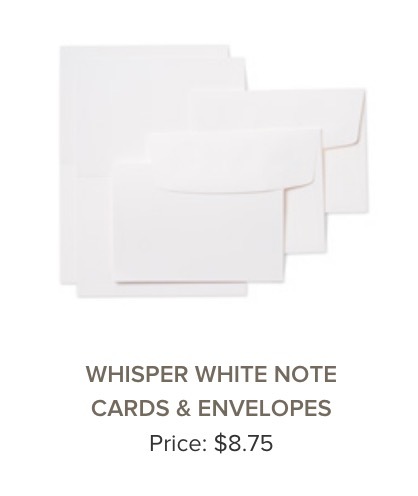 Note Cards & Envelopes for quick and easy cards. I stamped the saying with Gorgeous Grape ink. And then I stamped off the flower image. I also stamped the edge of the envelope with several flowers from the stamp set and alternating images that were stamped with Gorgeous Grape ink and Gorgeous Grape ink stamped off. The Occasions Catalogue starts on January 3rd. If you are Canadian, and would like me, just fill in my form here to get a free copy.